@EightOneZero wrote: I left last round until the final day (4 hours until close) and I had connection issues. I spent about 45 minutes trying to reload, reconnect and fix race.net but couldn't. Hmm that's strange, I was still able to access the league right up until the round 4 time expiration and then the site crashed about an hour later. I'm sorry you couldn't access it on your end with that much time left though, Codemasters really pick great times to work on Racenet . Oh ok, I was coming here to post that I've tried several times to run this weekend and today and haven't been able to get connected. Semi good to see it isn't just me that's having problems. Hopefully this gets sorted. As of now there is 1 day, 7 hours still remaining to finish Rally Germany. Due to the short length of each round this season, Round 5 will go ahead despite the lengthy racenet downtime. Sorry again for the inconvenience. I had a reasonable run, tried to keep it clean and did just that for the first 2 stages. I had a spin late on in SS3 and clipped something hard in the bushes which left me with a rear puncture. Being half way through the stage I struggled on to the end but must`ve lost quite a bit of time. Then again in stage 5, had a big spin and lost loads of time trying to get back on to the tarmac only to get going again and overshooting a junction while trying too hard. I managed to calm down for the last stage, kept it clean and tidy while still having plenty of sideways fun. Big skids. Once again it was a tight fight between us (eightOneZero including) Mr Sloe. It’s good to see that you also race with assists off. What a challenge, thanks for that. Round 5 was full of thrilling battles throughout the field despite another small finishing list. The German tarmac saw close competition on every stage as the 13 drivers blasted through in fine form approaching the end of season 3. All of the 70's cars seemed to be very closely matched in this round, with 3 different cars in the podium positions and also 2 sets of drivers finishing within the same second! Congratulations to RallymanVW on his second consecutive rally victory! Well done to all finishers and thank you to everyone who participated. Championship standings will be updated in the coming days. Round 6, Rally Finland is up next... Good luck to all drivers in the final round. Blimey, Germany was very, very close on times, some great battles all the way up the leader board. Well done to all competitors that made the effort to start the event, and a bigger well done to the boys on the podium! I love Finland. But I tried too hard. Perhaps I was feeling the pressure from the Brazilian driver FSarkis and that flying Brit EightOneZero who stole a valuable point from me in Germany by less than one second. Stage one and I was calm and comfortable, enjoying the fast flowing stage, then `whoops` I ran wide, hit a rock which left me with a rear puncture. I pushed on knowing that if I stopped to change I`d lose too much time. The following stages were difficult, lots of mistakes and lots of spins and I lost loads of time. The stage run in the dark, I love the night stages, I`d calmed down a bit and pushed on, no problems in here, my best stage of the rally. The last stage, the big one, it was make or break I had to push hard. Just 2 days left to complete the final round of DSRL RC Season 3!! Bottled it big time at the end dammit . Started pretty well but everything got worse as the rally went on. A few very bad mistakes saw me completely throw the lead away in the last stage! Not how I wanted to finish the last round but oh well I suppose, I had it coming with how hard I tried to push the car in some areas. Hopefully it'll still be enough points to claim the S3 championship in the end. A few very bad mistakes saw me completely throw the lead away in the last stage! Not how I wanted to finish the last round but oh well I suppose, I had it coming with how hard I tried to push the car in some areas. Thank you DSRL for running this on a older but still the better rally game on the xbox. Really hope members could voice their approval for the team to run another 4th season on Dirt rally. I had never really given this game much of a go, but every time I have what a blast it is. Really think the game suits busy people lifestyles as 30 minutes or even 1 hour to complete a round over a week should be easy enough to cram in over the other great newly released game FORZA 7............hahahahahaha Project CARS 2! Only thing I would suggest if a round will be more then 45 minutes to complete to have more save points in the round as this would maybe include more of the longer stages? either way, only having to do 2 stages before saving worked. No worries...thanks for being a regular in the championship and showing good participation. @WoodyLizard wrote: Thank you DSRL for running this on a older but still the better rally game on the xbox. No problem mate. Thanks for being part of it! It's looking like season 4 will also be on Dirt Rally as I'm sure you'll be glad to hear! Last day to complete Round 6, the final rally of the season! I was not particularly fast, or consistent, or even in every rally, but I had fun. Usually. When things went horribly awry in the early stages it got a bit trying to finish sometimes, but it was always worth it when I did. Thanks for putting this on. When you do another one I would be more than likely to sign up again. @WGIstation6a wrote: I was not particularly fast, or consistent, or even in every rally, but I had fun. Usually. When things went horribly awry in the early stages it got a bit trying to finish sometimes, but it was always worth it when I did. Thanks for putting this on. When you do another one I would be more than likely to sign up again. no problem man, hope to see you again for season 4. Thanks for being part of the championship, nice to hear you're enjoying it. Round 6 is now complete! Congratulations to RC Gaxier on the Rally Finland win and well done to all the event finishers! Season 3 championship standings will be updated and fully checked over in the next few days. Please be patient while all points & results are reconfirmed. A massive thank you to all drivers who showed great commitment and solid participation during this season, your consistent approach will be rewarded in future championship rule changes. It has been really good fun driving the 70's RWD classics, I will definitely miss sliding the Fiat. 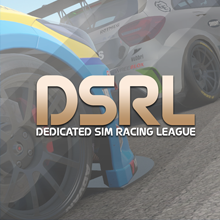 We hope to see many of you return for DSRL RC season 4 in the coming weeks! Well done everyone. Thank you EpilepticToast for organizing this season. @EightOneZero wrote: Well done everyone. Thank you EpilepticToast for organizing this season. Well done guys!!! Thank you Toast for organizing this season. Can't wait for season 4!